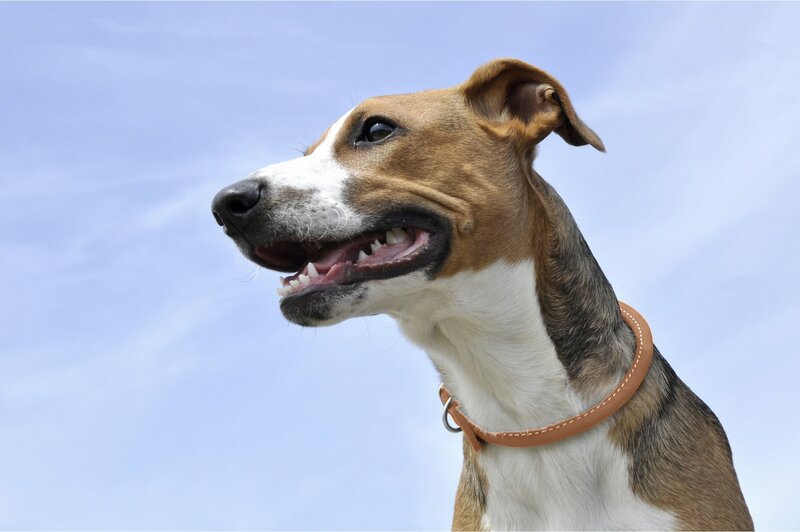 Give your stylish hound a touch of natural elegance and beauty with the Circle T Oak Tanned Leather Round Dog Collar. Handcrafted in the USA from full-grain English bridle leather, this top-quality collar is vegetable-tanned using tree bark to achieve excellent leather character. Strong and extremely durable, the outer leather is wrapped around a solid leather core to produce a rounded design that retains its shape and won’t mat hair or chafe the skin–perfect for a long-haired dog or one with sensitive skin. The craftsmanship of this premium collar is made to last for years and will become even more soft and supple over time. Top-quality leather collar is vegetable-tanned using tree bark to achieve excellent leather character. Strong and extremely durable, the outer leather is wrapped around a solid leather core. Rounded design retains its shape and won’t mat hair or chafe the skin–perfect for a long-haired dog or one with sensitive skin. Premium craftsmanship is made to last for years; collar will become even more soft and supple over time. Handcrafted in the USA from full-grain English bridle leather; available to fit neck sizes from 10 to 20 inches. We ordered 2 of these and have been using them for a few months now. They don’t cause any matting underneath with 24/7 wear (we have goldendoodles so this was a specific concern). They look nice and seem like they will hold up well over time. The color is not quite the same as in the pictures, but it’s still tan leather so it doesn’t bother me at all. 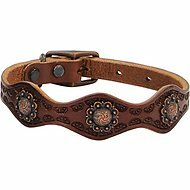 I purchased this collar in black for my labradoodle & love it. Round collars are recommended for dogs with long hair to help prevent matting in the neck area. This collar is perfect. It is made well and feel it will hold up. 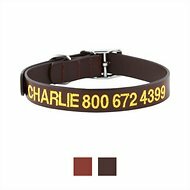 I love this collar for my pup Cavalier. 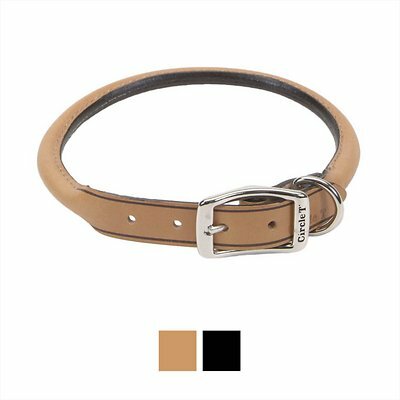 It is perfectly structured in a circular fashion to fit around pup's neck, however, the leather is also pretty stiff and causes dog to scratch at it quite a bit. I love and will have to get her the next size up as she grows. Very luxurious looking too! Nice collar. It seems like good quality leather. It’s hard to find decent quality leather products. I highly recommend them! I have a 2 pound small dog and I am just not a fan of snap collars. This collar is beautiful and fits well. Exactly what I was looking for. High quality, very comfortable for my pal, and looks great. Measure carefully; not a lot of room for error. Also suggest leather conditioner immediately upon receipt. This was my 2nd attempt at buying a collar for my Pomeranian. 1st time was on me I didn’t measure as suggested. This time I measured as instructed and it is too small. Kind of frustrating. This collar has good quality! Unfortunately, it was too small for my puppy and I had to purchase another. However, the Chewy team has been very helpful in refunding my old purchase and requesting for me to donate this collar to a local rescue or shelter instead. That is a very kind gesture. Excellent customer service! Love it, could not find this local. Glad I chose chewy’s.